This recipe will be an experiment for you to delve into the world of nut and seed butters. I was going to use one particular butter for this recipe but we all have different preferences so I'll let you choose. This recipe is only 2 ingredients and you just need to mix by hand; the result: ooey goey caramel. 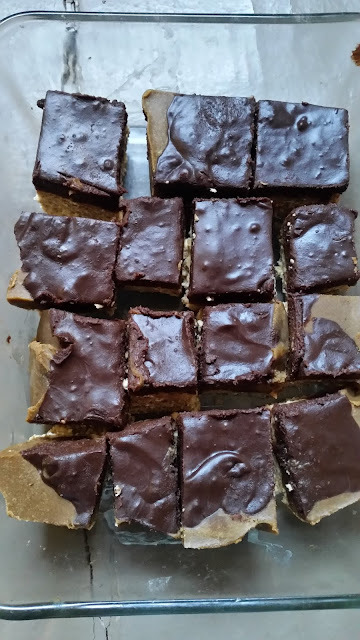 I've been craving caramel and chocolate lately so I've made a version of chocolate caramel bars over the past week. I also went back to Pilates and I don't think even all that ab work can counteract all the calories in these desserts so I'm going to chill out after this batch. Not that you should be afraid of whole, healthy ingredients like coconut oil and brown rice syrup but too much of anything isn't good either. Grab some flexible, rubber molds to make bars and desserts from. 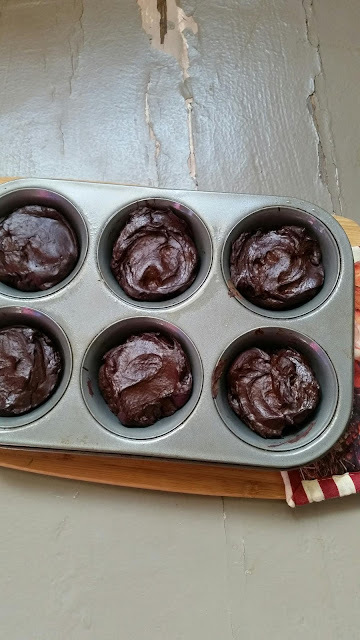 You can get them on amazon or any kitchen store; they are molds that you can pour hot or cold mixes into and they make different shaped desserts. 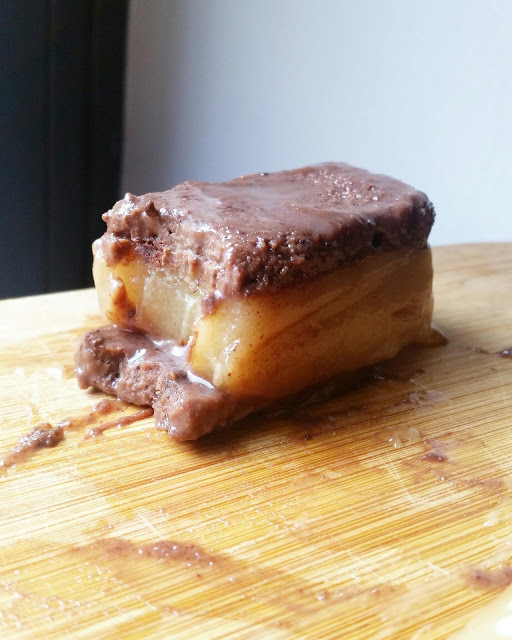 I like my skinny bar molds to make pretty much anything in; a little bit in the freezer and the dessert easily pops out of the mold and is ready to eat. I have larger bar molds and Christmas shape molds for smaller caramels. I may break them out next week. So a word about butters: there are a ton out there. Off the top of my head (and what I saw at Whole Foods today) there is peanut butter, almond butter, cashew, coconut, sunflower, tahini and walnut. They range in price and some can be mucho expensive so at the risk of going broke today I bought my usual container of peanut butter along with tahini butter. 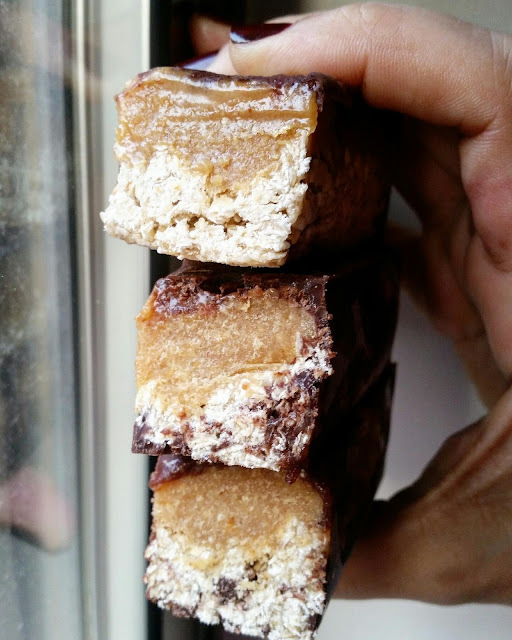 I've tried tahini and peanut butter in this caramel recipe and they both yield vastly different tastes. So, pick a nut or seed butter that you love and that you think will go big with your guests. I will be using peanut butter from now on. Mix well until the mixture is thick and sticky and gooey. It will be more and more difficult to mix as the two ingredients mingle. Scoop into bar mold and freeze. You can melt chocolate and pour on top of the caramel or make chocolate by melting coconut oil, cocoa powder and a sweetener such as brown rice syrup or maple syrup. Tahini butter has a much milder taste than peanut butter so they are vastly different; I'm not entirely certain I like tahini butter but I love tahini sauce. Experiment with different butters and see which one you love. Once you take the bars out of the freezer, everything melts pretty quickly so store in the freezer, always. You can make about 5-6 bars out the above recipe. 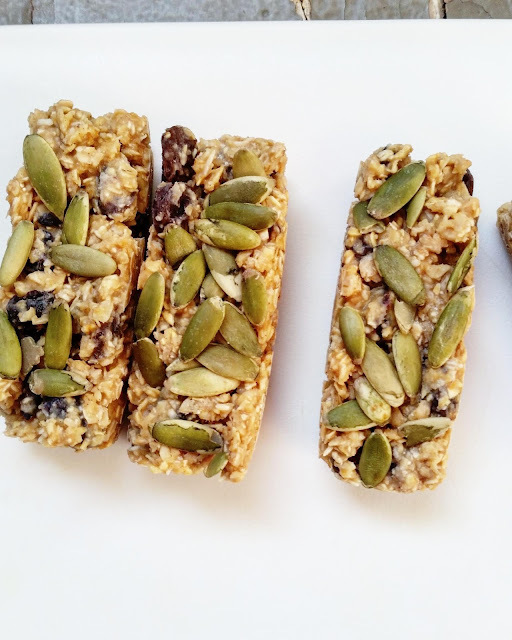 The nut butters and especially brown rice syrup are expensive so get what is on sale and know that you won't get a ton of bars out of each recipe. They are a very rich, decadent dessert so a few go a long way. They are perfect for the holidays if you are having a smaller group or have a ton of other desserts. Break these out when you break out the ice cream, knowing that both melt quickly. Mix until the mixture is super super sticky. Chocolate layer as stated above. 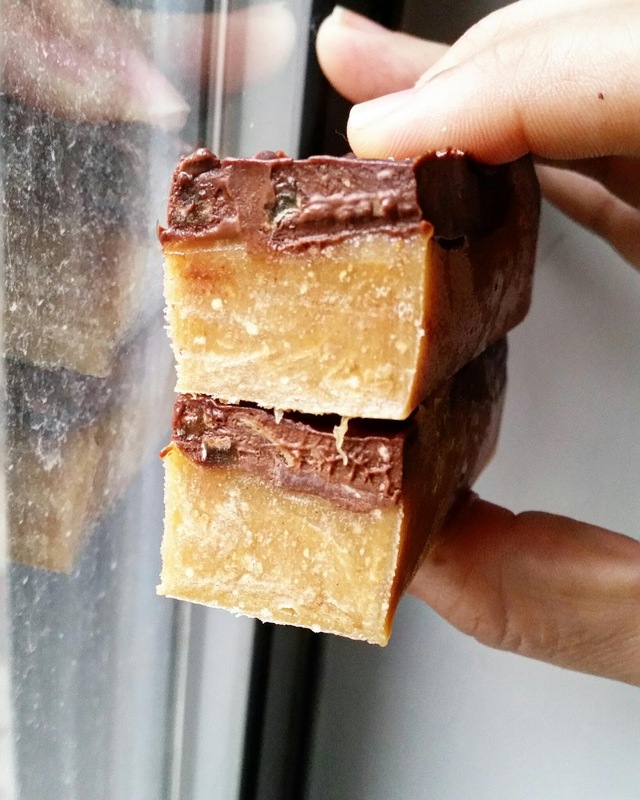 I pressed the oat layer in the bar molds, then scooped the caramel on top then froze. After the chocolate melted, it cooled them I poured on top of the caramel layer. The next day.....omg. They were fantastic. The bottom oat layer was so sticky from the brown rice syrup that it was rice crispy treat consistency.